In last week’s (before Adar II) portion (v.9:13), we saw the beginning of the last set of three plagues. Moses was to station himself before the Pharaoh (as with the first plague of each set, at the Nile River, over which he claimed to be god) to give warning. Yahweh said that He allowed the Pharaoh to yet remain alive, so that His sovereignty and His Name would be declared throughout the world (v.9:16). The seventh plague was hail that severely damaged the trees and food crops. (V.10:1) The Midrash teaches that the eighth plague was measure for measure: the Egyptians forced Israelite slaves to tend their crops, so the locusts devoured the crops. Moses was instructed to “come to Pharaoh” (as with the second plague of each set, at his palace, his seat of authority). (V.6) The locusts struck in the opposite manner from what we would normally expect: they first struck the Pharaoh’s house, then his servants, then lastly the commoners’ of Egypt. Punishment came first to those most responsible. (V.2) (Heb.) “hitallalti” (made a mockery of) contains the root word (Heb.) “all” (first cause), showing that Yahweh is the first cause of all things. The purpose of this plague was to show the Egyptians, and the Israelites (“your son and your son’s son”), that Yahweh controls all of “nature”. The Pharaoh only relented to let the men go; not the women, children, and herds. But he asked of Moses, “remove from me this death” (v.17), before the locusts ate the very roots of the plants, for the Egyptians were in danger of starvation. Here Yahweh showed that men, women, and children are equally required to worship Him (v.9). This case is seen specifically to relate to the observance of Shavuot / Pentecost / Firstfruits, and the receiving of the Torah: their betrothal to God. (V.21) The ninth plague was darkness. As with third plague of each set, after the Pharaoh rejected the first two plague-witnesses, no warning was forthcoming. For three days in all of Egypt – except where the Israelites dwelt in Goshen – there was such a darkness that it could be felt, and no one even got up to move about. The Pharaoh remained defiant, because Yahweh had foretold (v.7:3) His purpose, before Moses ever went to the Pharaoh, to harden the Pharaoh’s heart, so that all the world would know that He is Yahweh – the Eternal who actively rules over all the creation, over all nature, over all men. And Yahweh had stated beforehand that He would bring great judgments upon Egypt: these first three sets of three plagues were judgments against their various gods, and runners-up to the planned final judgment. God’s judgments are in-kind, and they are certain. Because they are not immediate, sinners continue in their ways. Ecclesiastes 8: 11 Because sentence against an evil work is not executed speedily, therefore the heart of the sons of men is fully set in them to do evil. Ecclesiastes 9:13-14 The conclusion, when all has been heard, is: fear God and keep His commandments, because this applies to every person. For God will bring every act to judgment, everything which is hidden, whether it is good or evil. The fulfillment of Isaiah 19 has begun in our lifetime. The Nile River runs 800 miles through Egypt, from Goshen where the Israelites dwelt to Cairo, where its valley is six miles wide. God designed the River as a life-sustaining feature of the land. The annual flooding of the river was part of the reason for the fertility of the area. About thirty-five hundred years ago, in the time of Moses and the Pharaohs, Egypt was a large, strong, but idolatrous nation. 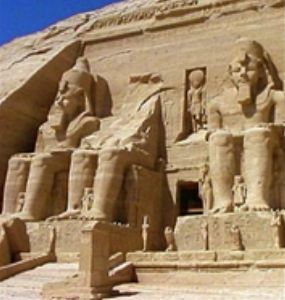 Great statutes of their Pharaoh-gods were carved into a mountainside near the Nile River, near a city now called Aswan. In AD 1843, Mohammed Ali, the founder of modern Egypt, built a kind of dam on the Nile to provide irrigation for other areas, but it did not work well. 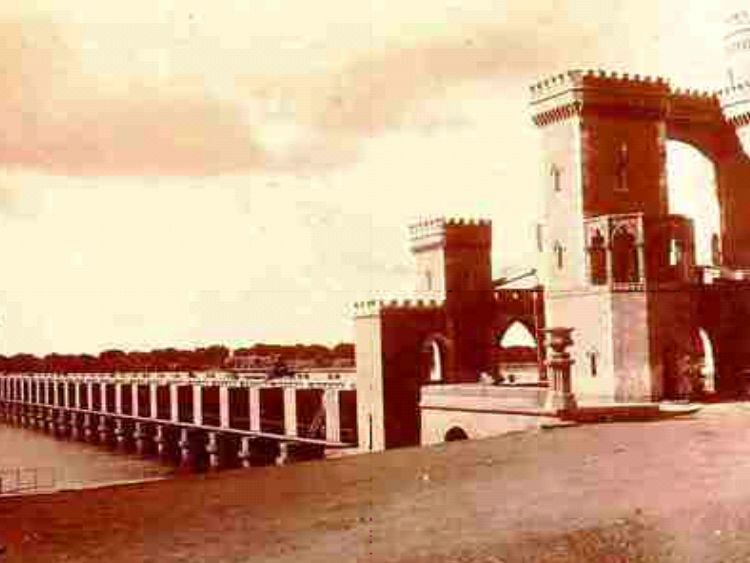 In 1902, a better dam was built near Aswan. In 1952, some Germans designed a great dam to better the existing one, but money was a problem. When Egypt applied to the World Bank for a loan, the US and Britain agreed to make the loan in order to keep Russia out of the picture. Upon discovering that Egypt had a weapons agreement with Russia, the US and Britain backed out, and Russia financed the project. The new Aswan Dam was finished in 1972. It is more than two miles long and almost a mile thick of solid concrete. It created 500 mile long Lake Nassar, the world’s largest man-made lake. It raised the ground water table as far away as Algeria. The lake flooded the town of Aswan. The stone statues were cut from the mountain, and pieced back together at a higher elevation, with an artificial mountain created for them. The site is known as Kalabsha Temple. The Dam was so disastrous that there was talk of tearing it down! The previous fertile areas of the Nile dried up and became useless. Why hasn't Osama bin Laden's terror network executed an attack on U.S. soil since 9-11? Simple, says Dr. Jack Wheeler, creator of an acclaimed intelligence website dubbed "the oasis for rational conservatives": The U.S. has threatened to nuke the Muslim holy city of Mecca should the terror leader strike America again. On his website, To the Point, Wheeler explains how the Bush administration has identified the potential of wiping Mecca off the map as bin Laden's ultimate point of vulnerability – the Damoclean Sword hanging over his head. "Israel … recognizes that the Aswan Dam is Egypt's Damoclean Sword," writes Wheeler. "There is no possibility whatever of Egypt's winning a war with Israel, for if Aswan is blown, all of inhabited Egypt is under 20 feet of water. Once the Israelis made this clear to the Egyptians, the possibility of any future Egyptian attack on Israel like that of 1948, 1967, and 1972 is gone." (Isaiah 19:5-15) The River will be parched and dry. And the canals will emit a stench, the streams of Egypt will thin out and dry up; the reeds and rushes will rot away. The bulrushes by the Nile, by the edge of the Nile and all the sown fields by the Nile Will become dry, be driven away, and be no more. And the fishermen will lament, and all those who cast a line into the Nile will mourn, and those who spread nets on the waters will pine away. Moreover, the manufacturers of linen made from combed flax and the weavers of white cloth will be utterly dejected. And the pillars of Egypt will be crushed; all the hired laborers will be grieved in soul. The princes of Zoan are mere fools; the advice of Pharaoh's wisest advisers has become stupid. How can you men say to Pharaoh, "I am a son of the wise, a son of ancient kings "? Well then, where are your wise men? Please let them tell you, and let them understand what Yahweh of hosts has purposed against Egypt. The princes of Zoan have acted foolishly, the princes of Memphis are deluded; those who are the cornerstone of her tribes Have led Egypt astray. Yahweh has mixed within her a spirit of distortion; they have led Egypt astray in all that it does, as a drunken man staggers in his vomit. And there will be no work for Egypt which its head or tail, its palm branch or bulrush, may do. (Isaiah 19:18-21) In that day five cities in the land of Egypt will be speaking the language of Canaan and swearing allegiance to Yahweh of hosts; one will be called the City of Destruction. In that day there will be an altar to Yahweh in the midst of the land of Egypt, and a pillar to Yahweh near its border. And it will become a sign and a witness to Yahweh of hosts in the land of Egypt; for they will cry to Yahweh because of oppressors, and He will send them a Savior and a Champion, and He will deliver them. Thus Yahweh will make Himself known to Egypt, and the Egyptians will know Yahweh in that day. They will even worship with sacrifice and offering, and will make a vow to Yahweh and perform it. Then follows Yom Teruah (Feast of Trumpets). (Matthew 24:29) "But immediately after the tribulation of those days the sun will be darkened, and the moon will not give its light, and the stars will fall from the sky, and the powers of the heavens will be shaken, 30 and then the sign of the Son of Man will appear in the sky, and then all the tribes of the earth will mourn, and they will see the Son of Man coming on the clouds of the sky with power and great glory. 31 "And He will send forth His angels with a great trumpet and they will gather together His elect from the four winds, from one end of the sky to the other. Reader 1* Amen. 1 Then Yahweh said to Moses, "Go to Pharaoh, for I have hardened his heart and the heart of his servants, that I may perform these signs of Mine among them, 2 and that you may tell in the hearing of your son, and of your grandson, how I made a mockery of the Egyptians and how I performed My signs among them, that you may know that I am Yahweh." 3 Moses and Aaron went to Pharaoh and said to him, "Thus says Yahweh, the God of the Hebrews, 'How long will you refuse to humble yourself before Me? Let My people go, that they may serve Me. Reader 2* Amen. 4 'For if you refuse to let My people go, behold, tomorrow I will bring locusts into your territory. 5 'They shall cover the surface of the land, so that no one will be able to see the land. They will also eat the rest of what has escaped-- what is left to you from the hail-- and they will eat every tree which sprouts for you out of the field. 6 'Then your houses shall be filled and the houses of all your servants and the houses of all the Egyptians, something which neither your fathers nor your grandfathers have seen, from the day that they came upon the earth until this day.'"  And he turned and went out from Pharaoh. Reader 3* Amen. 7 Pharaoh's servants said to him, "How long will this man be a snare to us? Let the men go, that they may serve Yahweh their God. Do you not realize that Egypt is destroyed?" 8 So Moses and Aaron were brought back to Pharaoh, and he said to them, "Go, serve Yahweh your God! Who are the ones that are going?" 9 Moses said, "We shall go with our young and our old; with our sons and our daughters, with our flocks and our herds we shall go, for we must hold a feast to Yahweh." 10 Then he said to them, "Thus may Yahweh be with you, if ever I let you and your little ones go! Take heed, for evil is in your mind. 11 "Not so! Go now, the men among you, and serve Yahweh, for that is what you desire." So they were driven out from Pharaoh's presence. Reader 4* Amen. 12 Then Yahweh said to Moses, "Stretch out your hand over the land of Egypt for the locusts, that they may come up on the land of Egypt and eat every plant of the land, even all that the hail has left." 13 So Moses stretched out his staff over the land of Egypt, and Yahweh directed an east wind on the land all that day and all that night; and when it was morning, the east wind brought the locusts. 14 The locusts came up over all the land of Egypt and settled in all the territory of Egypt; they were very numerous. There had never been so many locusts, nor would there be so many again. 15 For they covered the surface of the whole land, so that the land was darkened; and they ate every plant of the land and all the fruit of the trees that the hail had left. Thus nothing green was left on tree or plant of the field through all the land of Egypt. Reader 5* Amen. 16 Then Pharaoh hurriedly called for Moses and Aaron, and he said, "I have sinned against Yahweh your God and against you. 17 "Now therefore, please forgive my sin only this once, and make supplication to Yahweh your God, that He would only remove this death from me." 18 He went out from Pharaoh and made supplication to Yahweh. 19 So Yahweh shifted the wind to a very strong west wind which took up the locusts and drove them into the Red Sea; not one locust was left in all the territory of Egypt. 20 But Yahweh hardened Pharaoh's heart, and he did not let the sons of Israel go. Reader 6* Amen. 21 Then Yahweh said to Moses, "Stretch out your hand toward the sky, that there may be darkness over the land of Egypt, even a darkness which may be felt." 22 So Moses stretched out his hand toward the sky, and there was thick darkness in all the land of Egypt for three days. 23 They did not see one another, nor did anyone rise from his place for three days, but all the sons of Israel had light in their dwellings. Reader 7* Amen. 24 Then Pharaoh called to Moses, and said, "Go, serve Yahweh; only let your flocks and your herds be detained. Even your little ones may go with you." 25 But Moses said, "You must also let us have sacrifices and burnt offerings, that we may sacrifice them to Yahweh our God. 26 "Therefore, our livestock too shall go with us; not a hoof shall be left behind, for we shall take some of them to serve Yahweh our God. And until we arrive there, we ourselves do not know with what we shall serve Yahweh." 27 But Yahweh hardened Pharaoh's heart, and he was not willing to let them go. 28 Then Pharaoh said to him, "Get away from me! Beware, do not see my face again, for in the day you see my face you shall die!" 29 Moses said, "You are right; I shall never see your face again!" Reader 8* Amen. 1 The oracle concerning Egypt. Behold, Yahweh is riding on a swift cloud and is about to come to Egypt; the idols of Egypt will tremble at His presence, and the heart of the Egyptians will melt within them. 2 "So I will incite Egyptians against Egyptians; and they will each fight against his brother and each against his neighbor, city against city and kingdom against kingdom. 3 "Then the spirit of the Egyptians will be demoralized within them; and I will confound their strategy, so that they will resort to idols and ghosts of the dead and to mediums and spiritists. 4 "Moreover, I will deliver the Egyptians into the hand of a cruel master, and a mighty king will rule over them," declares Lord Yahweh of hosts. Reader 9* Amen. 5 The waters from the sea will dry up, and the river will be parched and dry. 6 The canals will emit a stench, the streams of Egypt will thin out and dry up; the reeds and rushes will rot away. 7 The bulrushes by the Nile, by the edge of the Nile and all the sown fields by the Nile will become dry, be driven away, and be no more. 8 And the fishermen will lament, and all those who cast a line into the Nile will mourn, and those who spread nets on the waters will pine away. 9 Moreover, the manufacturers of linen made from combed flax and the weavers of white cloth will be utterly dejected. 10 And the pillars of Egypt will be crushed; all the hired laborers will be grieved in soul. Reader 10* Amen. 11 The princes of Zoan are mere fools; the advice of Pharaoh's wisest advisers has become stupid. How can you men say to Pharaoh, "I am a son of the wise, a son of ancient kings "? 12 Well then, where are your wise men? Please let them tell you, and let them understand what Yahweh of hosts has purposed against Egypt. 13 The princes of Zoan have acted foolishly, the princes of Memphis are deluded; those who are the cornerstone of her tribes Have led Egypt astray. 14 Yahweh has mixed within her a spirit of distortion; they have led Egypt astray in all that it does, as a drunken man staggers in his vomit. 15 There will be no work for Egypt which its head or tail, its palm branch or bulrush, may do. Reader 11* Amen. 16 In that day the Egyptians will become like women, and they will tremble and be in dread because of the waving of the hand of Yahweh of hosts, which He is going to wave over them. 17 The land of Judah will become a terror to Egypt; everyone to whom it is mentioned will be in dread of it, because of the purpose of Yahweh of hosts which He is purposing against them. 18 In that day five cities in the land of Egypt will be speaking the language of Canaan and swearing allegiance to Yahweh of hosts; one will be called the City of Destruction. 19 In that day there will be an altar to Yahweh in the midst of the land of Egypt, and a pillar to Yahweh near its border. 20 It will become a sign and a witness to Yahweh of hosts in the land of Egypt; for they will cry to Yahweh because of oppressors, and He will send them a Savior and a Champion, and He will deliver them. Reader 12* Amen. 21 Thus Yahweh will make Himself known to Egypt, and the Egyptians will know Yahweh in that day. They will even worship with sacrifice and offering, and will make a vow to Yahweh and perform it. 22 Yahweh will strike Egypt, striking but healing; so they will return to Yahweh, and He will respond to them and will heal them. 23 In that day there will be a highway from Egypt to Assyria, and the Assyrians will come into Egypt and the Egyptians into Assyria, and the Egyptians will worship with the Assyrians. 24 In that day Israel will be the third party with Egypt and Assyria, a blessing in the midst of the earth, 25 whom Yahweh of hosts has blessed, saying, "Blessed is Egypt My people, and Assyria the work of My hands, and Israel My inheritance." Reader 13* Amen. 6 "Lift up a standard toward Zion! Seek refuge, do not stand still, for I am bringing evil from the north, And great destruction. 6 "Why then do you harden your hearts as the Egyptians and Pharaoh hardened their hearts? When He had severely dealt with them, did they not allow the people to go, and they departed? Psalm 47 (To be sung.) For the choir director. A Psalm of the sons of Korah. 1 O clap your hands, all peoples; shout to God with the voice of joy. 2 For Yahweh Most High is to be feared, a great King over all the earth. 3 He subdues peoples under us and nations under our feet. 4 He chooses our inheritance for us, the glory of Jacob whom He loves. Selah. 5 God has ascended with a shout, Yahweh, with the sound of a trumpet. 6 Sing praises to God, sing praises; sing praises to our King, sing praises. 7 For God is the King of all the earth; sing praises with a skillful psalm. 8 God reigns over the nations, God sits on His holy throne. 9 The princes of the people have assembled themselves as the people of the God of Abraham, for the shields of the earth belong to God; He is highly exalted. Reader 14* Amen. 29 "But immediately after the tribulation of those days the sun will be darkened, and the moon will not give its light, and the stars will fall from the sky, and the powers of the heavens will be shaken. 30 "And then the sign of the Son of Man will appear in the sky, and then all the tribes of the earth will mourn, and they will see the Son of Man will appear in the sky with power and great glory. 31 "And He will send forth His angels with a great trumpet and they will gather together His elect from the four winds, from one end of the sky to the other. 32 "Now learn the parable from the fig tree: when its branch has already become tender and puts forth its leaves, you know that summer is near; 33 so, you too, when you see all these things, recognize that He is near, right at the door. 34 "Truly I say to you, this generation will not pass away until all these things take place. 35 "Heaven and earth will pass away, but My words will not pass away. Reader 15* Amen. 36 "But of that day and hour no one knows, not even the angels of heaven, nor the Son, but the Father alone. 37 "For the coming of the Son of Man will be just like the days of Noah. 38 "For as in those days before the flood they were eating and drinking, marrying and giving in marriage, until the day that Noah entered the ark, 39 and they did not understand until the flood came and took them all away; so will the coming of the Son of Man be. 40 "Then there will be two men in the field; one will be taken and one will be left. 41 "Two women will be grinding at the mill; one will be taken and one will be left. 42 "Therefore be on the alert, for you do not know which day your Lord is coming. 43 "But be sure of this, that if the head of the house had known at what time of the night the thief was coming, he would have been on the alert and would not have allowed his house to be broken into. 44 "For this reason you also must be ready; for the Son of Man is coming at an hour when you do not think He will. Reader 17* Amen. 41 "Then He will also say to those on His left, 'Depart from Me, accursed ones, into the eternal fire which has been prepared for the devil and his angels; 42 for I was hungry, and you gave Me nothing to eat; I was thirsty, and you gave Me nothing to drink; 43 I was a stranger, and you did not invite Me in; naked, and you did not clothe Me; sick, and in prison, and you did not visit Me.' 44 "Then they themselves also will answer, 'Lord, when did we see You hungry, or thirsty, or a stranger, or naked, or sick, or in prison, and did not take care of You?' 45 "Then He will answer them, 'Truly I say to you, to the extent that you did not do it to one of the least of these, you did not do it to Me.' 46 "These will go away into eternal punishment, but the righteous into eternal life." Reader 18* Amen. 26:1 When Yeshua had finished all these words, He said to His disciples, 2 "You know that after two days the Passover is coming, and the Son of Man is to be handed over for crucifixion." 3 Then the chief priests and the elders of the people were gathered together in the court of the high priest, named Caiaphas; 4 and they plotted together to seize Yeshua by stealth and kill Him. 5 But they were saying, "Not during the festival, otherwise a riot might occur among the people." 6 Now when Yeshua was in Bethany, at the home of Simon the leper, 7 a woman came to Him with an alabaster vial of very costly perfume, and she poured it on His head as He reclined at the table. 8 But the disciples were indignant when they saw this, and said, "Why this waste? 9 "For this perfume might have been sold for a high price and the money given to the poor." 10 But Yeshua, aware of this, said to them, "Why do you bother the woman? For she has done a good deed to Me. 11 "For you always have the poor with you; but you do not always have Me. 12 "For when she poured this perfume on My body, she did it to prepare Me for burial. 13 "Truly I say to you, wherever this gospel is preached in the whole world, what this woman has done will also be spoken of in memory of her." Reader 19* Amen. 14 Then one of the twelve, named Judas Iscariot, went to the chief priests 15 and said, "What are you willing to give me to betray Him to you?" And they weighed out thirty pieces of silver to him. 16 From then on he began looking for a good opportunity to betray Yeshua. 17 Now on the first day of Unleavened Bread the disciples came to Yeshua and asked, "Where do You want us to prepare for You to eat the Passover?" 18 And He said, "Go into the city to a certain man, and say to him, 'The Teacher says, "My time is near; I am to keep the Passover at your house with My disciples."'" 19 The disciples did as Yeshua had directed them; and they prepared the Passover. 20 Now when evening came, Yeshua was reclining at the table with the twelve disciples. 21 As they were eating, He said, "Truly I say to you that one of you will betray Me." 22 Being deeply grieved, they each one began to say to Him, "Surely not I, Lord?" 23 And He answered, "He who dipped his hand with Me in the bowl is the one who will betray Me. 24 "The Son of Man is to go, just as it is written of Him; but woe to that man by whom the Son of Man is betrayed! It would have been good for that man if he had not been born." 25 And Judas, who was betraying Him, said, "Surely it is not I, Rabbi?" Yeshua said to him, "You have said it yourself." Reader 20* Amen. 26 While they were eating, Yeshua took some bread, and after a blessing, He broke it and gave it to the disciples, and said, "Take, eat; this is My body." 27 And when He had taken a cup and given thanks, He gave it to them, saying, "Drink from it, all of you; 28 for this is My blood of the covenant, which is poured out for many for forgiveness of sins. 29 "But I say to you, I will not drink of this fruit of the vine from now on until that day when I drink it new with you in My Father's kingdom." 30 After singing a hymn, they went out to the Mount of Olives.